Las Vegas, April 8th2013 – Leading visual effects and computer graphics company, The Foundry has announced the release of the latest version of HIERO and HIEROPLAYER, its family of shot management, conform and review tools. With the newly released HIERO and HIEROPLAYER 1.7 users will benefit from far greater editorial control and the functionality and toolset they expect from other editors. There are also playback and performance enhancements in this version and users of the NUKE compositing software will notice a much more familiar look and feel across the NUKE, HIERO and HIEROPLAYER applications. The update brings a range of features and innovations that open up HIERO as a viable editing system for VFX and HIEROPLAYER as an ideal single seat review station. • Modal editing tools - Theaddition of select, select track, slip and slide, roll, retime, razor, razor all, join and popular ripple functionality. • Source/record 2-up viewer layout - Provides familiar editorial feel and the ability to insert and overwrite clips from the source view directly into the timeline through the use of three point editing techniques. • New keyboard interface - Improves editorial workflow with in-depth precision clip or edit selection and nudging, playhead shuttling from timecode, extended JKL and more, all directly from the keyboard. • In-viewer jog / shuttle controls - Offers fast and intuitive control of frame shuttling directly in the viewer through the mouse for precision playback and review. Additionally, HIERO now has an improved playback system with audio enhancements that include stereo bounce down and latency adjustments. Performance improvements come in the form of a faster viewer render pipeline, cache dumping, jpeg performance tweaks and audio waveform caching for better performance. This video takes you through improved editing functionality, increased cache handling, using Keyword Tokens for renaming shots, the new audio stereo bounce down functionality giving greater control over audio, syncing audio with video and exporting shots from HIERO to NUKE. This video shows you the brand new Hotkeys which will speed up users' workflow, new Modal tools which bring familiar editorial functionality to HIERO, timeline editing giving users more control as well as Copy Cuts to assist in keeping the naming of shots consistent. “We have packed this version with numerous advancements to the editorial and playback toolset in HIERO and HIEROPLAYER. The HIERO family has come a long way from its conception just over a year ago and the applications are growing to become a powerful offering for VFX, editing and beyond." The Foundry and ftrack are collaborating to introduce a next generation, ease-of-use workflow between ftrack and HIERO. This will allow HIERO customers to benefit from a modern asset and production management system from the outset. HIERO will continue to play well with other products on the market, but will be prepackaged with ftrack integration out of the box. The initial fruits of this collaboration can also be seen with ftrackreview whichwill soon be available to HIERO and HIEROPLAYER customers. This provides shot-review functionality and lets ftrack users review shots both in the applications or in a browser. The future advanced integration between the applications will be implemented in a later release. HIERO was built from the ground up to address the challenges of collaborative working on VFX projects, especially those with a quick turnaround, and to create a smooth workflow out of the box. 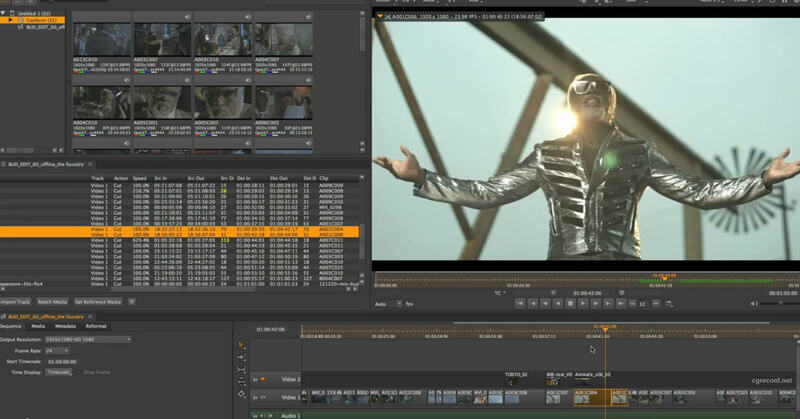 HIERO also enables collaborative working with NUKE and other editorial, VFX and finishing tools. HIEROPLAYER is a review and playback tool built for artists. Integrating with NUKE and the VFX pipeline, HIEROPLAYER lets artists view versions of shots on a multi-track editorial timeline in context.